Democrats in New York State may redraw their map to eliminate Alexandria Ocasio-Cortez’s district after the 2020 election. 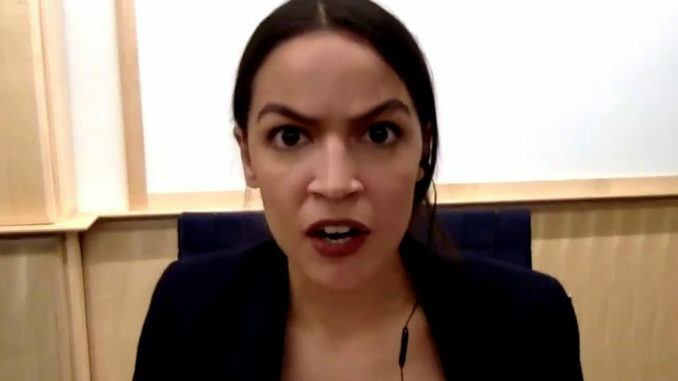 With House Democrats privately floating the idea of a primary challenge for the freshman Congresswoman, the elimination of her district would be a devastating blow to the Socialist superstar. The Intercept reports: Following the 2020 census, every state will draw new district boundaries to reflect changes in the population, the political implications of which will stretch for at least the next decade. In 2014, New York approved a constitutional amendment establishing a nonpartisan redistricting commission, which is set to take over the redistricting process starting in 2020. The 10-member commission, meant to be independent from the legislature, is made up of individuals selected by leaders from the state Senate and Assembly, and the original eight members pick two additional members. But Ocasio-Cortez’s most determined adversaries are not partisan Republicans, but Democrats who say that she has been a disruptive influence. The Hill recently reported that at least one member of Congress has been urging New York party leaders to recruit a Democratic primary challenger to Ocasio-Cortez. But the news led to a surge of donations to Ocasio-Cortez, suggesting that a more efficient means of ousting her might be simply to eliminate her district.